It's A Wonderful Life. a scene from the classic christmas film it's a wonderful life. 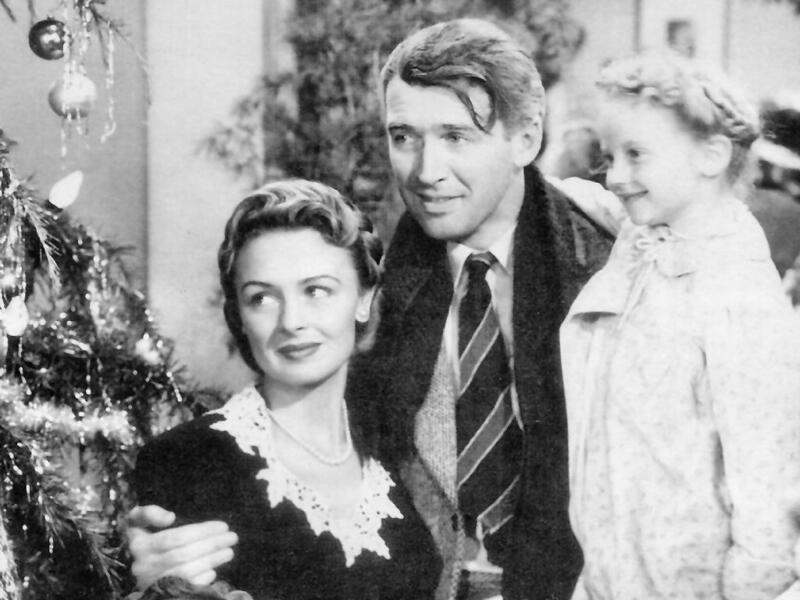 HD Wallpaper and background images in the Christmas club tagged: it's a wonderful life christmas film image wallpaper. This Christmas wallpaper contains bouquet, corsage, posy, and nosegay. There might also be street, city scene, urban setting, business suit, well dressed person, suit, pants suit, and pantsuit.